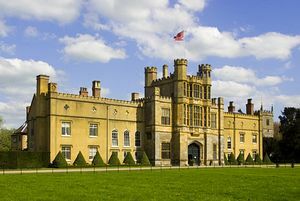 Coughton Court has been the ancestral home of the Throckmorton family since 1409 and is a fine example of a Tudor stately home. 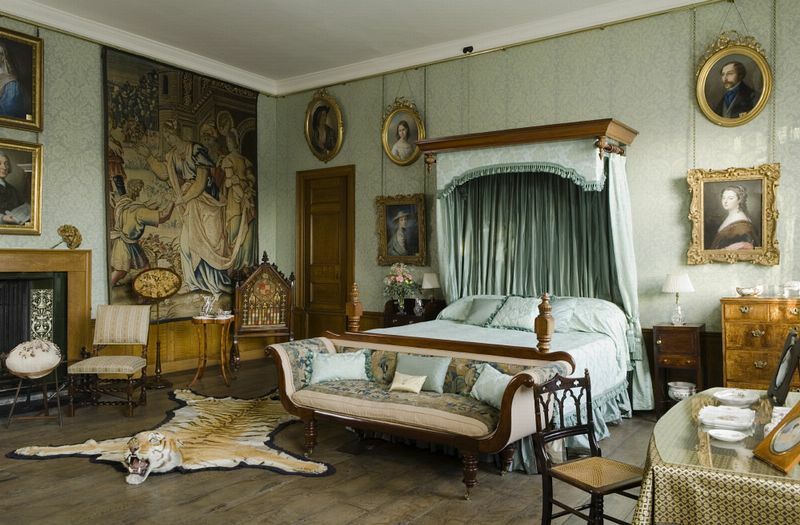 Within its walls is an extraordinary treasure trove of royal history which will leave visitors with plenty to talk about long after their visit. Ladies will appreciate the beautiful velvet cope embroidered in gold by Queen Catherine of Aragon and her ladies-in-waiting and a tailored Newbury coat, transformed from the back of a sheep into a dyed and tailored jacket in less than 24 hours. There is also a chair made from the wood of the bed where Richard III slept before the Battle of Bosworth. These unique contents alone make a visit to Coughton Court worth the entrance fee, but there is far more to enjoy besides. The recurrent theme throughout the visit is the impressive way that the Throckmorton family kept alive the Catholic faith through times of persecution. The family produced the first Catholic Member of Parliament and they are related to the first English Cardinal to be appointed to the Vatican, Charles Januarius Acton, who was the brother of Elizabeth, Lady Throckmorton. The present magnificent Tudor-Jacobean house was built in 1530 and has a battlemented gatehouse entrance. 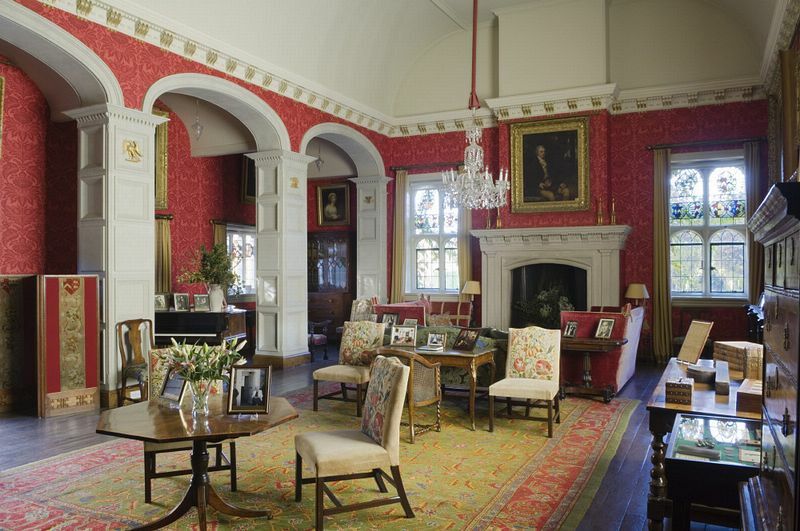 After climbing the staircase lined with family portraits, the first room on the tour is the main drawing room. It was here that the family waited tensely for news of Guy Fawkes' Gunpowder Plot in which they were partly involved in 1605. Climb the narrow spiral staircase to the Tower Room where the guide will reveal the priest's hole expertly designed by Nicholas Owen. It has a decoy compartment, but below the floor is a hide which was almost undetectable. It was forgotten for years until it was discovered in 1910 by accident, still with its mattress, rope ladder and folding leather altar. The Tower Room also has a painting called "Tabul Eliensis" depicting Ely abbey where many Catholics were captured during recusant times. It shows the family arms of the many Catholic families who were imprisoned for their faith during Elizabeth I's reign. This picture would have been hidden in the Catholic network and displayed in secret at Mass. A further staircase leads to the roof which has magnificent views of the gardens and the family church, also worth visiting. The Walled Garden was opened by Alan Titchmarsh in 1996 and is described as the "jewel in the crown" of Coughton Court. Amidst the colour-themed gardens is the Tsunami Noni sculpture in the quiet pool garden. The 25-acre award-winning gardens were created by garden designer Christina Williams, daughter of Clare McLaren-Throckmorton, in 1991. There is a bog garden, vegetable garden, walled garden, orchard and a riverside walk, but it is the Rose Labyrinth Garden which has brought Coughton Court world acclaim with the Award of Garden Excellence from the World Federation of Rose Societies. NCN5, ½ mile View local cycle routes on the National Cycle Network website.